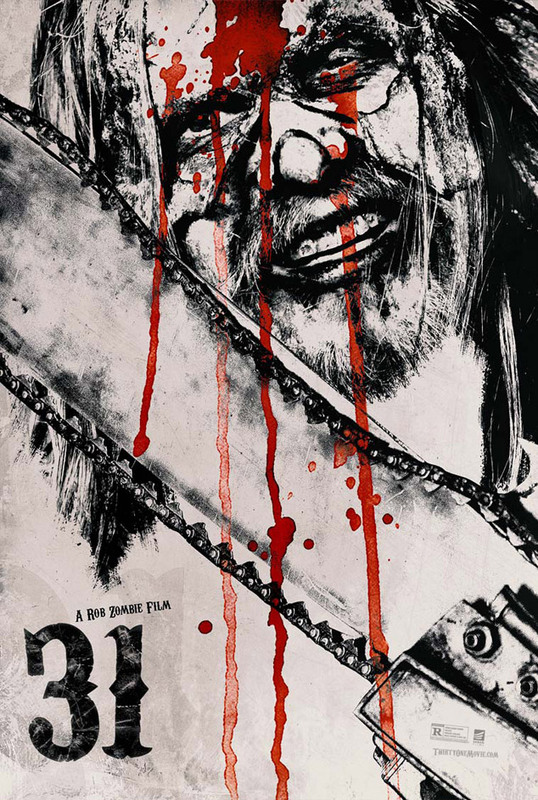 The anticipation behind Rob Zombie’s 31 is peaking as Zombie and Saban Films released 4 new character posters recently. 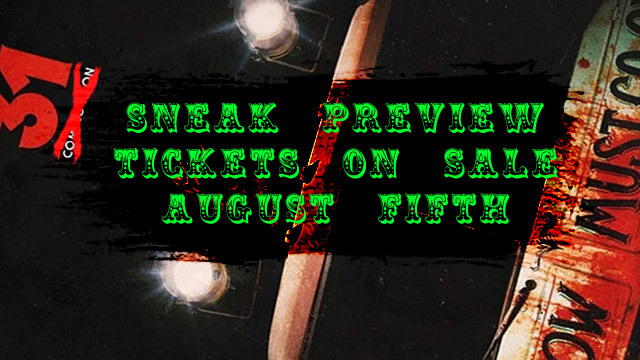 With the Sept 16, 2016 VOD release date just under 2 months away and the theatrical release October 20th, fans who have patiently waited through a rating delay and a change in production houses are eager. The wait looks to be paying off as the new character art is revealed. five carnival workers who are kidnapped the night before Halloween and held hostage in a large secret compound known as Murder World. 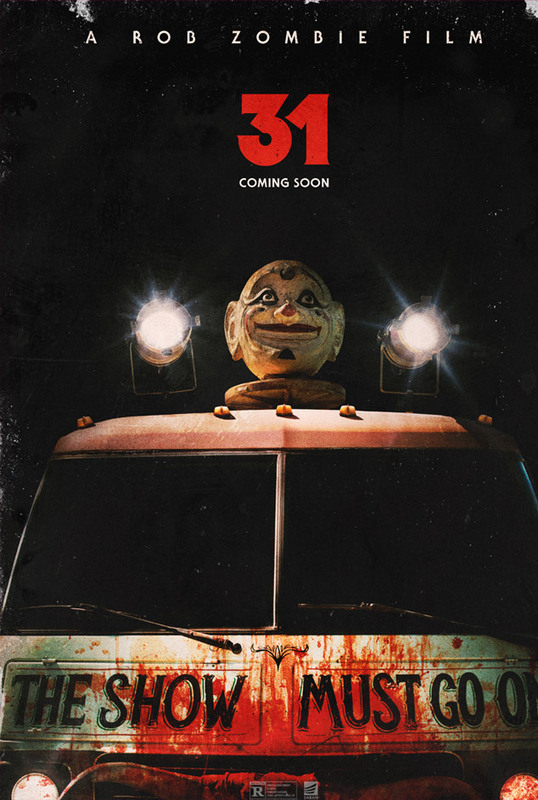 Once there, they have 12 hours to survive a terrifying game called 31 in which “The Heads” – murderous maniacs dressed as clowns – are released to hunt them down and kill them. 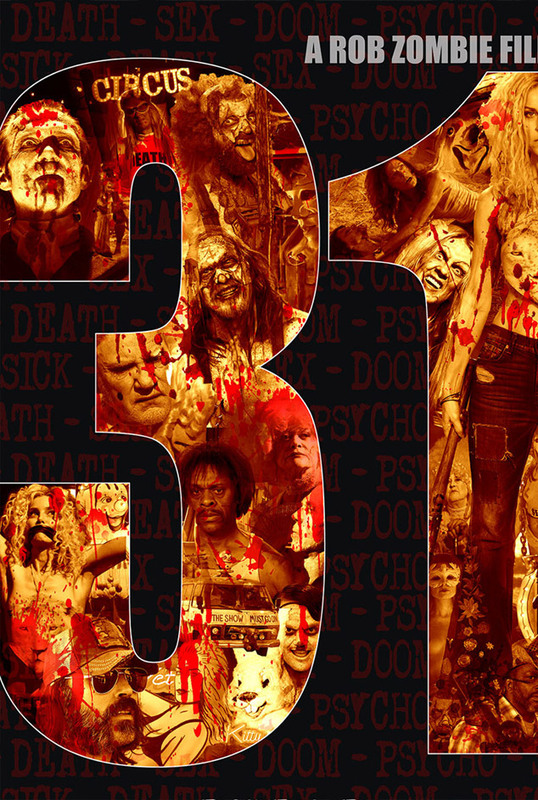 See the new movie posters below for Rob Zombie’s 31 here. Something tells me this will be one of those rare occasions you’re rooting for the carnies. 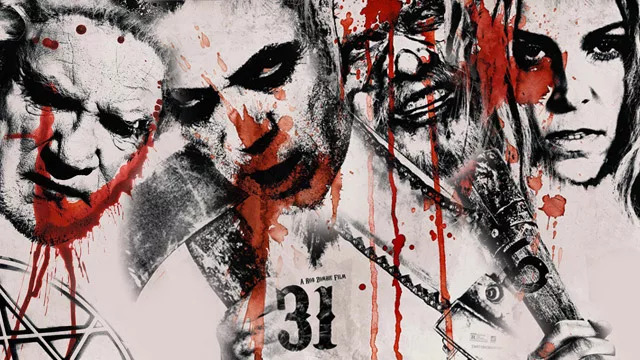 Check out the poster art of Doom-Head, Psycho-Head, the playful Father Murder, and Charly played by the better half of the Zombie household. 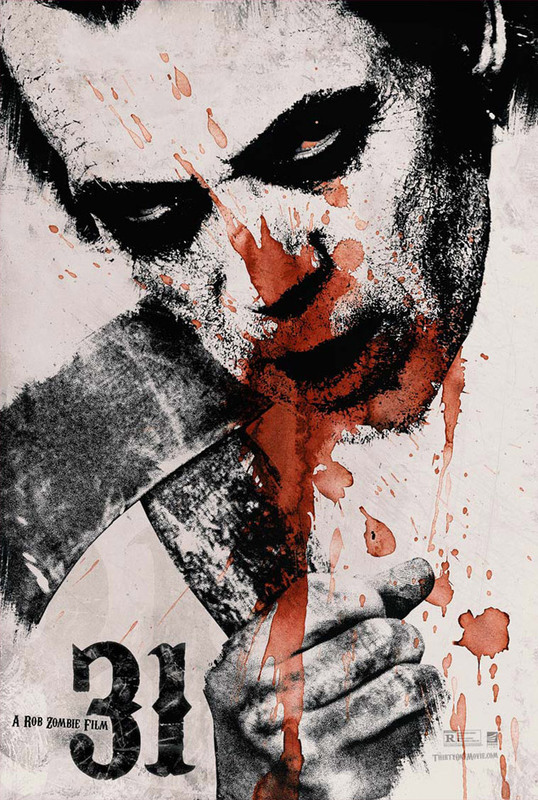 Malcolm McDowell is Father Murder and the owner of Murder World. Doom-Head as played by Richard Brake. 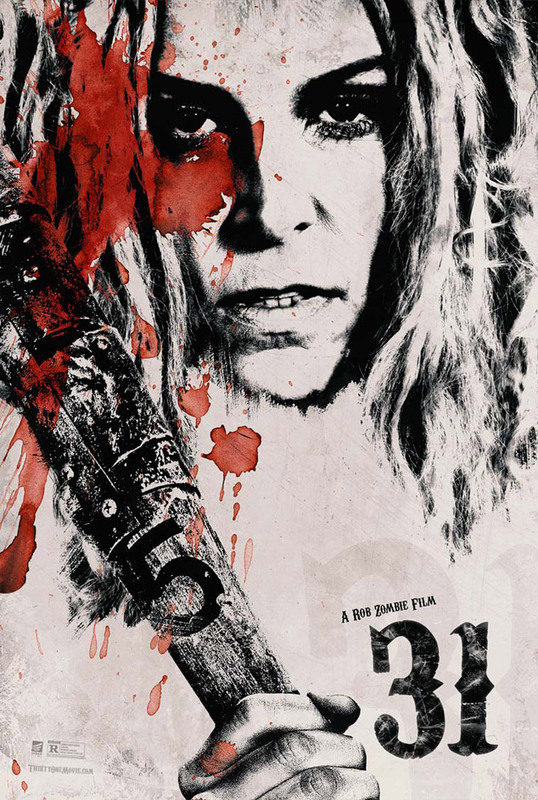 Sheri Moon Zombie as Charly. 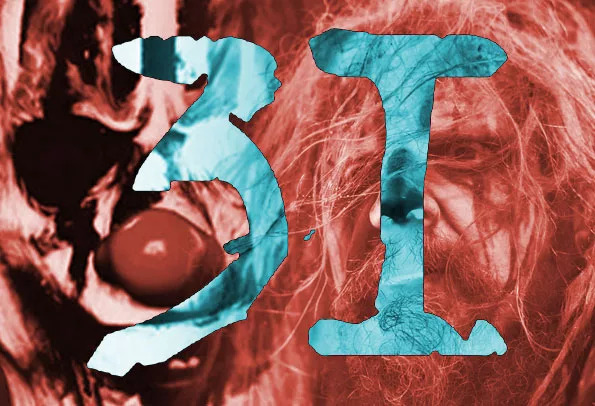 When does Rob Zombie’s 31 Come Out? Just in time for the peak of the season!